DOCTOR WHO - The golden era of TOM BAKER | Warped Factor - Words in the Key of Geek. Tom Pheby revisits the Tom Baker years of Doctor Who, and looks at the drama happening both on screen and behind the scenes. When I thought about writing about Tom Baker I was excited, like an enthusiastic MP submitting his expenses claim. Then I was filled with trepidation, the sort a Doctor must feel when he spots the local hypochondriac sat in the waiting room. Tom Baker is probably the most enigmatic actor to play the role of Doctor Who, and it would seem that off screen he enjoyed (and continues to enjoy) creating even greater mystery and intrigue. He has been interviewed hundreds of times and yet the more he says, the less we seem to know about him. To millions of people around the world he is the Doctor and because of that you run the real risk of toys being jettisoned from prams and upsetting die hard fans by detracting from his reputation and achievements. When Baker was on shift, he was pulling in ten million viewers, that's right ten million, a phenomenal figure for a show back then broadcast around 6pm in the afternoon. Episodes of the 1979 story, City Of Death, were watched by 16 to 19 million people (although those ratings were helped by an ITV strike), it's still a figure unbeaten today. His portrayal of the iconic character is so definitive that its almost impossible to establish where Tom Baker starts and Doctor Who ends. On watching the star in conversation you become aware how delightfully self depreciating he can be, that he can mislead at every opportunity, has a love of being mischievous and is sometimes baffled by all the hype, adulation and attention. He certainly applied large elements of himself when playing the role and scriptwriters managed to merge the fictional hero with the personality of the man himself. Baker was plucked from a building site and obscurity in 1974 to become the official face of the Time Lord and it became a triumph that would unfortunately turn into a car wreck further down the line. 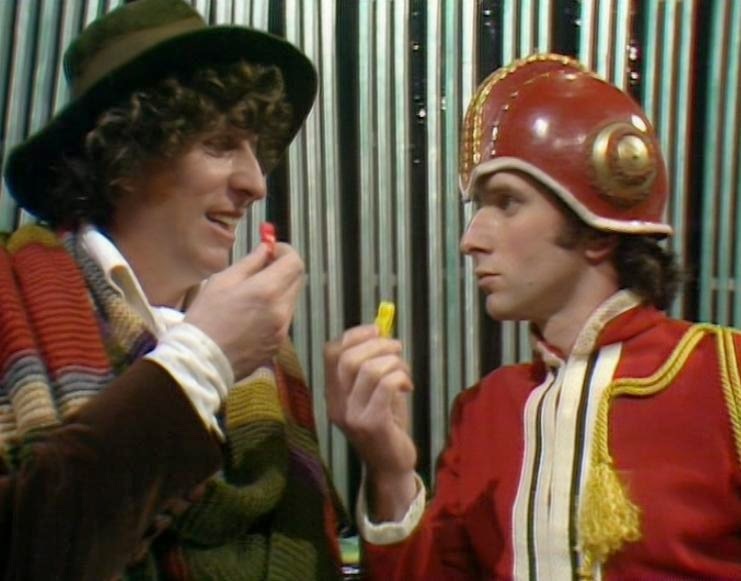 Who can forget Baker's Doctor being asked to empty his pockets only to reveal the contents of a seven year old's party bag, complete with a yo-yo, and delivering the classic line "would you like a jelly baby?" The series needed a new direction having got bogged down with a Doctor that resembled a type of black belt Liberace. That may seem a tad unfair but towards the end of his tenure I tired of the frills, Pertwee's unnecessary pomp, all the over exaggerated drama and frenetic fannying about with a man in a uniform (The Brigadier, played by the splendid Nicholas Courtney). What a relief it was to see Baker's eccentric offering, eyes bulging inquisitively, and sometimes playfully, with hair like an exploding bed mattress. Then there was the voice (what a voice!). Authoritative, crisp, strong and precise, adding to the tension and emphasis of the scripts. 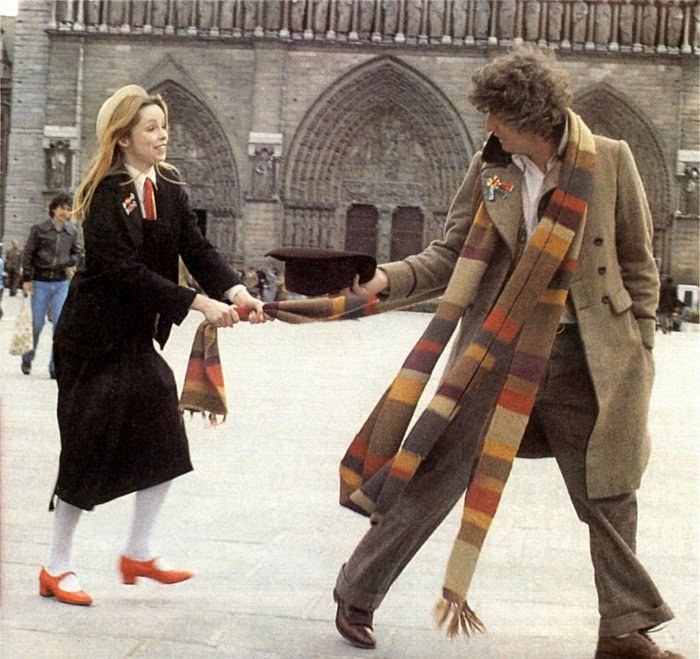 Lets not forget the Scarf, so preposterous in length that it could have gone around the necks of a dozen Doctors twice. He could have wrapped all the Daleks up in it and sat back in amusement as they tried to undo the knot. In scenes where all seemed lost for the Doctor and his companions, Baker appeared almost unconcerned, like someone that had merely missed a hairdressers appointment or had forgotten to pick up his dry cleaning. The nation loved him for it and he began to grow in our affections, but as the years rolled by it was said in private behind the sterile oak doors of the BBC that he was exerting too much influence on the show. There were whispers that directors were struggling to make the shows with him in it and that Baker's ego was through the stratosphere. He was a massive star at this point, frequently mobbed by fans and arguably the most recognised actor on television at the time, but suggestions persisted that he was becoming bigger than the show and was in danger of overshadowing it completely. "Tom is one of those people who oscillated between being one of the most wonderful, awesome, engaging people you have ever met, to someone you would gladly shove off a cliff." This may have been slightly uncharitable to the man we love and adore, leaving us open mouthed and in disbelief. It's almost like discovering Superman has a fear of spiders or prefers to wear a tutu on his weekends off. "The difference between Matt Smith and me is that he’s an actor and I’m… well, I’m just Tom Baker. 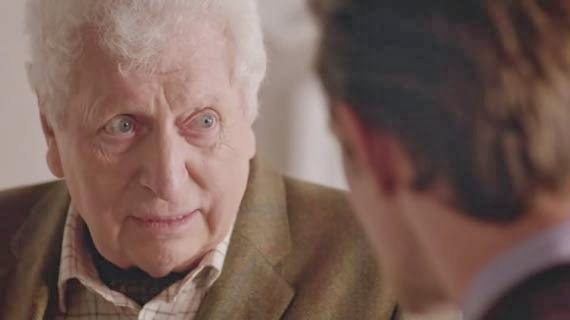 When I realised they liked Tom Baker, that’s what they got. It was entirely me. 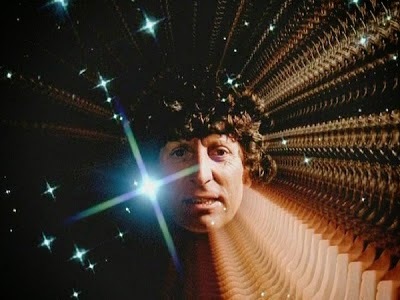 Tom Baker in space. Shovelfuls of Tom Baker." So the stage was clearly set for some sort of show down, and when John Nathan-Turner was introduced into the proceedings as Producer (1980-1989) there was definitely a conflict of ideas. "John had waited a long time to be producer, and suddenly he had the power, and he wanted to make his mark on it. We had some ferocious disagreements about scripts and scenes." Tensions increased, and it was said that the upper-management at the BBC had told Nathan-Turner in no uncertain terms ‘Tom is the star of the show, and we’ve got ten million viewers,’ and John would reply, "Yeah, but I’m the f***ing producer." All of this makes an interesting backdrop (hopefully) but it should not detract from the performances or that the majority of fans still see him as 'The One', similar to Connery as Bond, although no doubt that's a discussion that will go on for as long as the series. 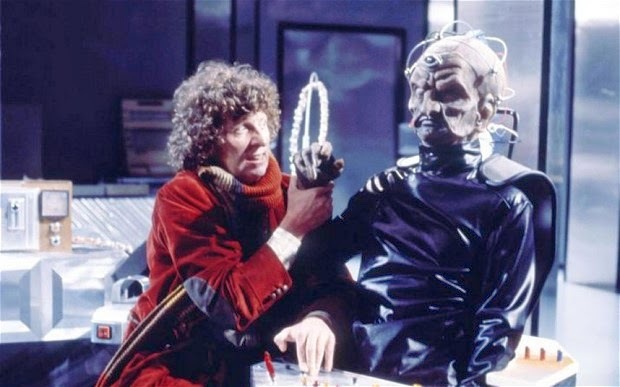 Tom Baker was a magnificently flamboyant Doctor, a larger than life character who still summons up an enormous loyalty despite all the sabre rattling and angry exchanges behind the scenes. I think of his time in the TARDIS as a golden era, yes the sets wobbled, the effects were dodgy, some companions had the personality of a pea and 70% of the make-up was less than convincing, but Baker's Doctor was beyond reproach and simply a joy to watch. I was immensely pleased to see him involved in the 50th anniversary episode last year. His inclusion as the Curator in The Day of The Doctor served to remind us of not only what we had been missing, but also everything he gave us. "I had no idea I would enjoy playing the Doctor so much, all that was required of me was to speak complete gobbledygook with conviction." It's been my entire existence. It was the happiest time of my whole life."